and are first of all addressing politicians, upholders of civilization, conservationists’ organizations, and media. The steadily growing list of the signers already includes over a hundred professors and authors. This manifesto was presented at a press conference at the Bonn press club on September 1st, 1998. We should appreciate your understanding and your support. Our country is on the point of losing a precious asset. The expansion of the industrial exploitation of wind energy has developed such a driving force in just a few years that there is now great cause for concern. 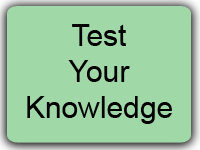 A type of technology is being promoted before its effectiveness and its consequences have been properly assessed. The industrial transformation of cultural landscapes which have evolved over centuries and even of whole regions is being allowed. Ecologically and economically useless wind generators, some of which are as high as 120 metres and can be seen from many kilometres away, are not only destroying the characteristic landscape of our most valuable countryside and holiday areas, but are also having an equally radical alienating effect on the historical appearance of our towns and villages which until recently had churches, palaces and castles as their outstanding features to give them character in a densely populated landscape. More and more people are subjected to living unbearably close to machines of oppressive dimensions. Young people are growing up into a world in which natural landscapes are breaking up into tragic remnants. The oil crisis in the 1970s made everyone very aware of the extent to which industrial societies are dependent on a guaranteed supply of energy. For the first time the general public became aware of the fact that the earth’s fossil fuel resources are limited and could be exhausted in the not too distant future if they continue to be consumed without restraint. In addition arose the recognition of the damage which was caused to the environment by the production and consumption of energy. The loss of trees due to pollution, the Chernobyl nuclear reactor accident, the legacy of constantly accumulating pile of nuclear waste, the risks of a climatic catastrophe as a consequence of carbon dioxide emissions have all established themselves in the public consciousness as examples of the growing potential threat. The real problem of population growth and above all the resultant phenomenon of escalating land use and consumption of drinking water supplies is however being pushed aside and being considered instead as a marginal phenomenon. With few exceptions it is not subject of any political action. On the contrary, the public interest is becoming even more limited, focusing less on energy consumption as a whole and concentrating its fears and criticisms predominantly on the generation of electricity. Admittedly, nuclear risks do doubtless exist here. However, electrical energy plays more of a minor role in the balance sheet of energy sources. In Germany three quarters of the energy consumed consist of oil and gas. But it is precisely these energy sources whose resources will be exhausted the soonest. If it were really a matter of concern with regard to future generations, immediate, decisive action to protect supplies of oil and natural gas would be imperative. Instead petrol consumption continues unchanged, and the idea that we are living nothing for our great-grandchildren is dispelled with the vague presumption that there will one day be substitutes for fossil fuels. On the other hand, hard coal and brown coal, which are the main primary sources of electrical energy, are available in such abundance world-wide, and in many cases in deposits which are as yet unexploited, that electricity production is guaranteed, even with growing consumption, for centuries, possibly even for a period of over a thousands years. With regard to the exhaustion of energy sources of fossil fuels the development of electricity production using wind bypasses the problem. Although Germany has taken the lead in the expansion of wind energy use, it has not been possible to date to replace one single nuclear or coal-fired power station. Even if Germany continues to push ahead with the expansion, it will still not be possible in the future. The electricity produced by wind power is not constant because it is dependent on meteorological conditions, but electricity supplies need to be in line with consumption at all times. For this reason wind energy cannot be used to any significant degree as a substitute for conventional power station capacities. Insufficient attention is also being paid to pollutant levels. Whereas until a few years ago it was chiefly the coal-fired power stations’ sulphur dioxide emissions due to poor filtering which caused problems, it is now mainly road traffic which is polluting the forests’ ecosystems with nitrogen oxides and nitrous oxide. Added to which, the effectiveness of power stations is improving with technological progress and as a result the level of pollutants given off per unit of energy is decreasing. The latter is also true of carbon dioxide emissions, with the result that electricity production in Germany is today responsible for only a fifth of the greenhouse gases emitted. The energy capacity of wind is comparatively low. Modern wind turbines with rotor surface areas the size of a football field make only tiny fractions of the energy that is produced by conventional power stations. So with more than five thousand wind turbines in Germany less than one per cent of the electricity needed is produced, or only slightly more than one thousandth of the total energy produced. The pollutant figures are similar for the same reason. The contribution made (by the use of) wind energy to avoid greenhouse gases is somewhere between one and two thousandths. Wind energy is therefore of no significance whatever both in the statistics for energy and in those for pollutants and greenhouse gases. At the same time we must take into account the fact that economic growth always involves, to a greater or lesser extent, an increasing energy requirement – despite all the efforts made by technology towards greater efficiency in the transformation and consumption of energy. This means that because it makes such a small contribution to the statistics, wind energy is running a race which is already lost in an economic order orientated towards growth: At present total energy consumption in Germany is growing about seventy times (!) faster than the production potential of wind energy. The negative effects of wind energy use are as much underestimated as its contribution to the statistics is overestimated. Falling property values reflect the perceived deterioration in quality of life – not just in areas close to the turbines, but even all over Schleswig-Holstein. More and more people describe their lives as unbearable when they are directly exposed to the acoustic and optical effects of wind farms. There are reports of people being signed off sick and unfit for work, there is a growing number of complaints about symptoms such as pulse irregularities and states of anxiety, which are known from the effects of infrasound (sound of frequencies below the normal audible limit). The animal world is also suffering at the hands of this technology. On the North Sea and Baltic coasts birds are being driven away from their breeding, roosting and feeding grounds. These displacement effects are being increasingly observed inland, too. From the point of view of the national economy the development of wind energy is far from being the “success story” it is often claimed to be. On the contrary, it puts a strain on the economy as it is still unprofitable with a low energy yield on the one hand and high investment costs on the other. And yet, as a result of the legal framework conditions which have been set, private and public capital is being invested on a large scale – capital which is at least unavailable for important environmental protection measures, but also ties up purchasing power. This in turn leads to job losses in other areas. The only way in which the investors can realise their exceptionally high returns is by means of the level of payment for electricity produced by wind which has been determined by law, and which is several times its actual market value, and by taxation depreciation. For more than twenty years now German politicians have been under pressure to react to urgent problems concerning the environment and preventative measures, and have been promoting a seriously erroneous evaluation of wind energy. 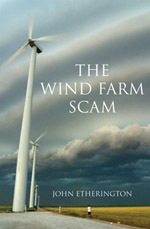 This has allowed the use of wind energy to become established in the view of public opinion as some sort of total solution which supposedly makes a decisive contribution towards a clean environment and a guaranteed supply of energy for the future, and also towards the aversion of a climatic catastrophe and the avoidance of nuclear dangers. This false picture raises hopes and results in a general acceptance of the use of wind energy which is strengthened further by the fact that people are not expected to make any savings. The negative effects of the wind energy industry in our densely populated country are suppressed, scientific knowledge is ignored and there is a taboo on criticism. Only a few people are willing to break away from these political and social trends. After fighting for decades with great commitment for the preservation of our countryside the majority of the large organisations for the protection of nature now stand idly by watching its destruction. As all efforts to influence those with political responsibilities have been without success, the signatories of this manifesto see no other solution but to make their concerns public. In view of the serious harm threatening our countryside, which has evolved through history and which is the foundation of our cultural identity, we appeal for an end to the expansion of wind power technology which is pointless from both an ecological and an economical point of view. We issue an urgent warning against the uncritical promotion of technology which can in the long term have far-reaching adverse effects on the relationship between man and nature. We are particularly concerned about a change of attitude, which is more difficult to perceive as it is evolving slowly and which gives us less and less ability to recognise how important it is for man to live in an environment which is predominantly characterised by nature.